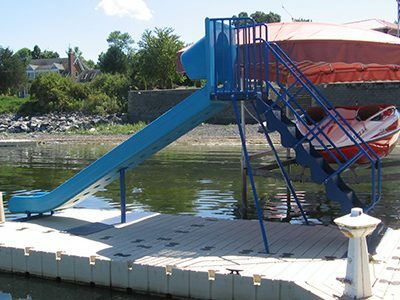 EZ Dock offers a variety of floating dock accessories to help you make your waterfront more accessible, more fun and more practical. You can use our products with your existing dock or with an EZ Dock system. Storage boxes. 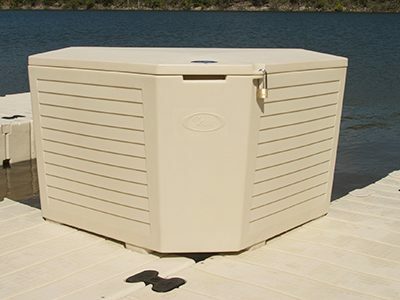 Dock storage boxes let you store life vests, ropes and anything else you need close to the water. 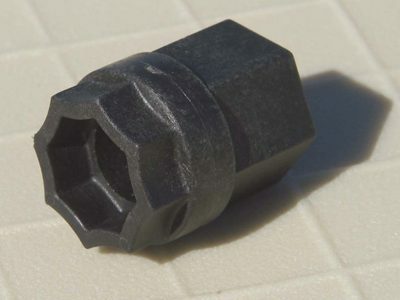 Store accessories which make the water even more fun and you won’t have to worry about packing for boating or swimming again. Our 7′ Dock Box, for example, is large enough to stow whatever you need. Cleats. 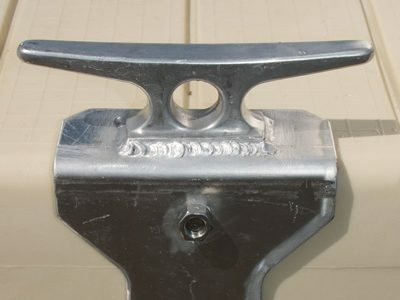 Sturdy tie-up cleats let you secure your boat or watercraft. Benches. 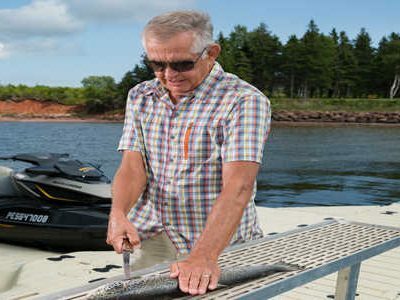 Our Polyethylene Bench Kit and other benches make it easy to enjoy the water, even when you’re not swimming or boating. Enjoy the water and sit comfortably while supervising children and other water users. Benches are also a great accessibility feature, as they allow those who cannot enter the water to still enjoy their time by the water. Ladders. Our swim ladder makes the water more accessible for younger members of the family and ensures an easier way to reach the water, even with varying water levels. 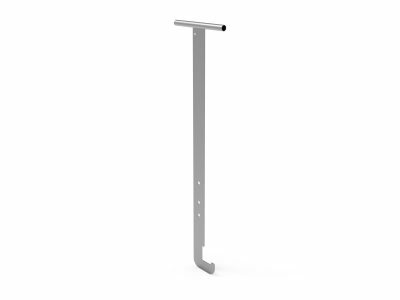 Our EZ Float step ladder has sturdy handles, allowing everyone to climb out of the water safely. Dock bumpers. 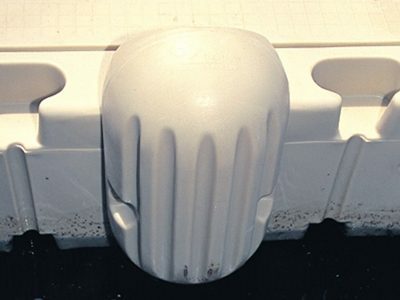 Protect your boats and equipment with bumpers, which soften the impact of the boat bumping up against the dock. Slides. Transfer slide benches let users easily climb onto watercraft, even if they have mobility challenges. 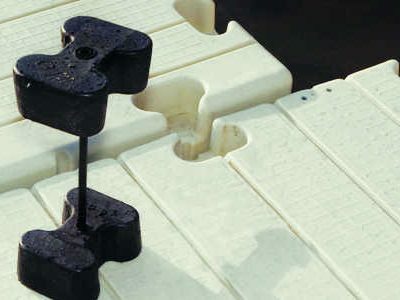 All our products are designed with the same durability, safety and quality as our floating docks. 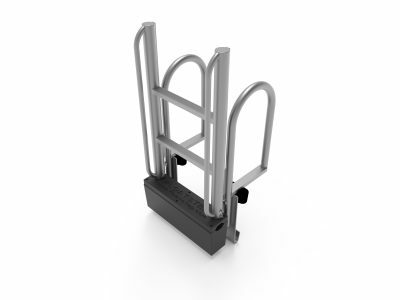 Our heavy-duty accessories and docks are safe for you, your visitors and your customers. 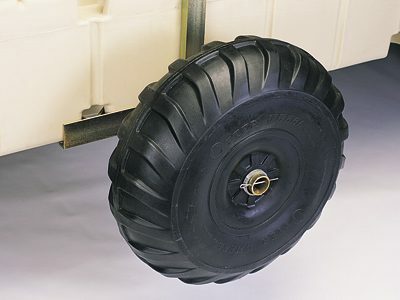 They’re designed to withstand the toughest weather, including cold and hot temperatures. 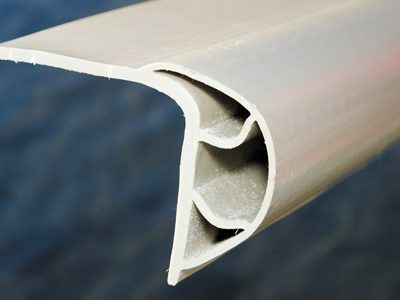 Used all over the world, even in extreme weather, EZ Dock products are built strong to provide you with great value. 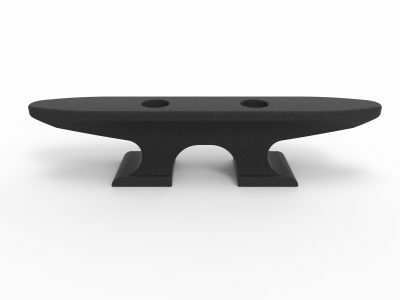 Contact EZ Dock today if you need more information to determine which accessories you need. Our knowledgeable representatives would be happy to help!